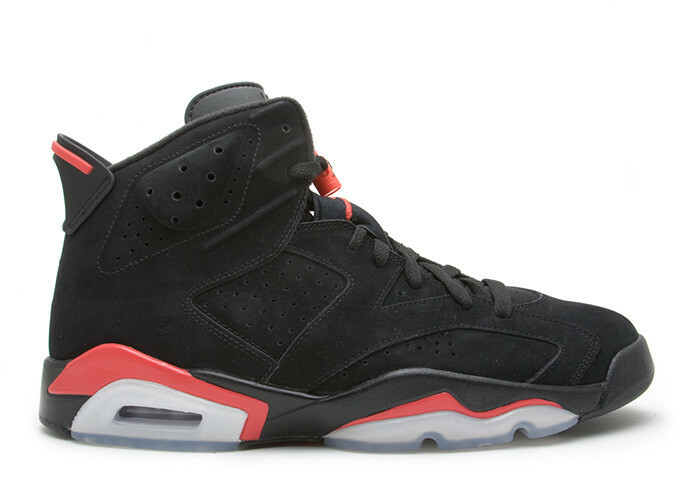 The Air Jordan 6 Black Varsity Red is one of the most iconic sneakers to date. Michael's 6th signature sneaker never looked so good. The classic colorways has been seen many times before, but only gets better with each release. The black nubuck upper is hit with varsity red finishes and an icy sole. As we continue to see this sneaker more often, it will remain as one of the best in MJ's arsenal.